Apple has considered the possibility of using modems from Samsung and MediaTek in its future 5G devices, testimony at a US Federal Trade Commission trial with Qualcomm reveals, with an Apple executive confirming there is a possibility of the two companies providing modems for the forthcoming 2019 iPhone refresh. Advised in antitrust trial testimony on Friday, Apple supply chain executive Tony Blevins confirmed Apple had looked towards other rival modem suppliers as potential sources of modems, Reuters reports. It was not revealed if one or both companies had the prospect of becoming a supplier, nor what proportion of modems they would supply alongside Intel. The admission suggested Apple is fine with the idea of allowing multiple suppliers to provide modems for iPhones, which would be a return to form for the company. In 2016, Apple moved from Qualcomm as the only supplier to having Intel as a secondary option, but by 2018, Apple had instead moved entirely to Intel, freezing Qualcomm out of the supply chain for that specific component. Blevins told the court Apple was looking into potentially using MediaTek and Samsung to supply the chips, in order to allow the iPhones to work with 5G cellular networks. The executive did not say if Apple had in fact made a decision on 5G modem suppliers, nor whether it would even release a 5G-capable iPhone at all. 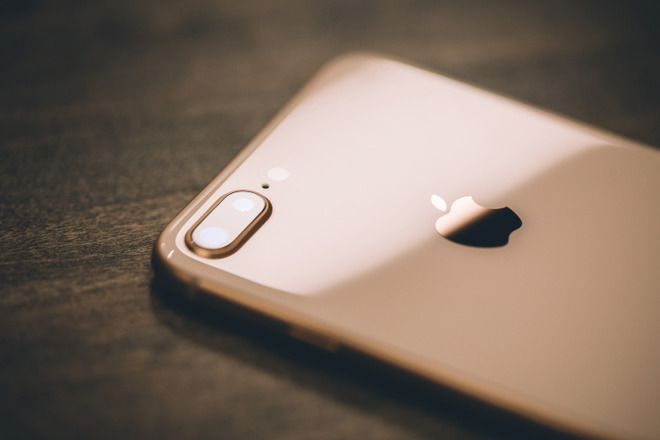 Rumors from November and December suggest it is unlikely for this year, with Apple intending to use 5G-capable modems in iPhones arriving in 2020. The discussions with Samsung was "not an ideal environment" for Apple, Blevins noted in his testimony. While Samsung is a major competitor against Apple in the smartphone industry, it is also a major supplier to many smartphone vendors, and is the largest component supplier to Apple itself. As part of the testimony, Blevin confirmed Apple stopped using Intel for modems for the iPad mini 2 in 2013 as it would lose the rebates, calling Intel "economically unattractive" at that point in time. Within a year, following attempts to sufficiently negotiate costs with Qualcomm, Apple launched an attempt to secure a second modem supplier, dubbed "Project Antique." "The entire concept of Project Antique was to find a second supplier," Blevins told the court. "No offense to [Intel] but we don't want to be single supplier with them. We wanted both Qualcomm and [Intel] in the mix." While Intel re-entered the modem supply chain in 2016, Qualcomm's lawsuit caused the business relationship with Apple to change "in a very profound and negative manner," prompting a switch to just using Intel chips. Blevins was giving testimony in court as part of the antitrust trial between Qualcomm and the FTC, which commenced last week. The suit was initiated nearly two years ago, with the FTC accusing Qualcomm of forcing Apple into an exclusive modem deal that ran between 2011 and 2016, in exchange for lower patent royalties.